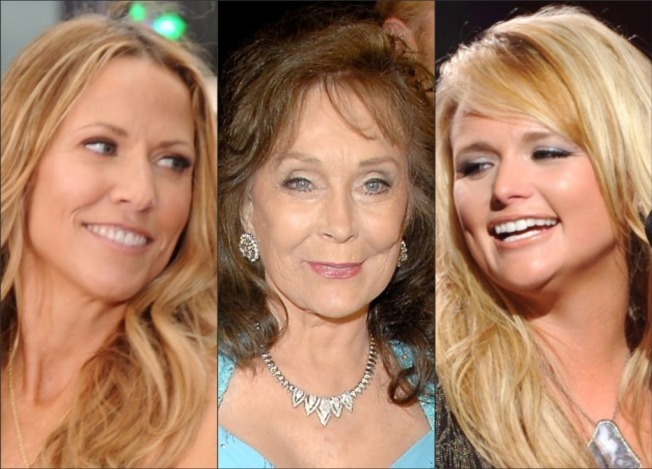 Sheryl Crow and Miranda Lambert will pay tribute to country music legend Loretta Lynn at next month's CMA Awards, with a special performance of "Coal Miner's Daughter." Lambert and Crow have already recorded a version of the 1970 hit with Lynn on a tribute album due out Nov. 9. That album has Lynn singing with a roster of artists personallyy invited by Lynn, including Carrie Underwood, Faith Hill, Kid Rock, the White Stripes, Paramore, Alan Jackson and Steve Earle. "I absolutely love her," Lynn said. "You have to stop and watch her when you see her." The 44th Annual CMA Awards, hosted by Underwood and Brad Paisley, will air Nov. 10 at 8 p.m. ET on ABC. Previously announced performers include Dierks Bentley, Kenny Chesney, Lady Antebellum, Lambert, Paisley, Rascal Flatts, Reba McEntire, Blake Shelton, George Strait, Sugarland, Underwood, Keith Urban, and Zac Brown Band with Alan Jackson. Selected Reading: People, CMAWorld, LorettaLynn.com.